I’ve recently noticed that I have a rather sensitive mouth when it comes to eating and drinking hot things. I need to take care during these colder months not to burn my mouth on tea or miso soup…! 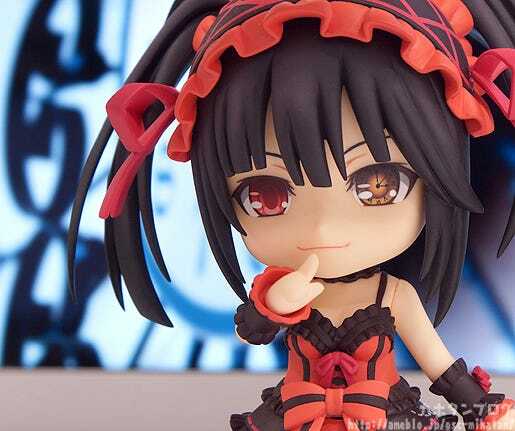 From the popular light novel and anime series ‘Date A Live II’ comes the third Nendoroid from the series – Kurumi Tokisaki wearing her Goth-Loli Astral Dress!She comes with three expressions including a mysterious sidelong glance, a condescending expression as well as a maddened expression showing off her fearless disposition. 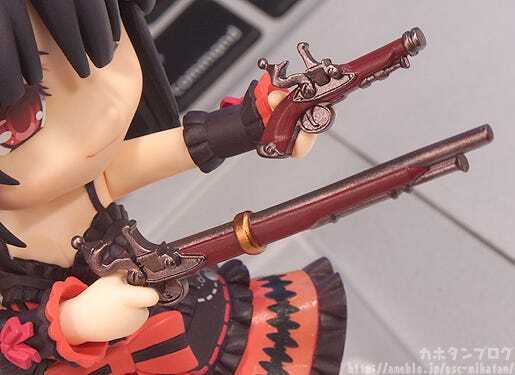 Optional parts include both Zafkiel’s musket and pistol, allowing you to pose her in the various poses she took while firing shots from them! 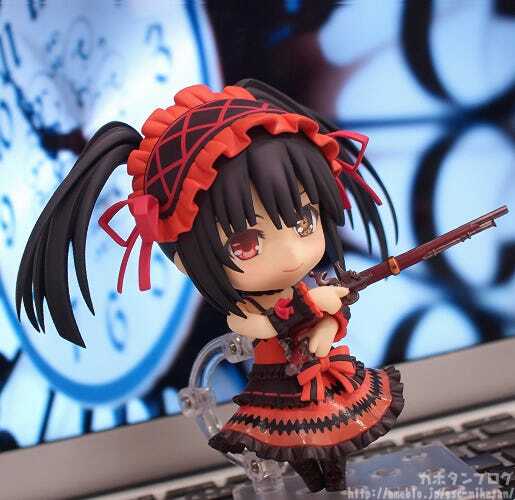 Enjoy the adorable madness of Kurumi in Nendoroid size! The yandere spirit who controls time and shadows! 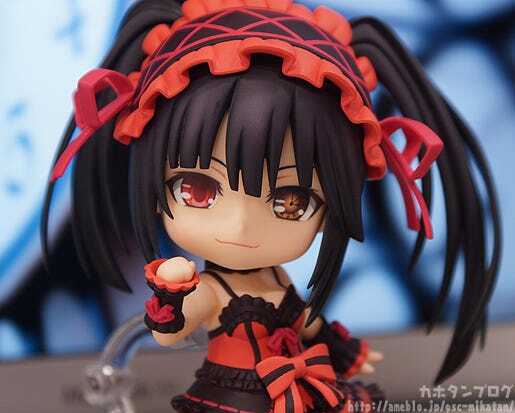 The fact that she has different colored eyes also makes for quite a rare sight in the Nendoroid series! 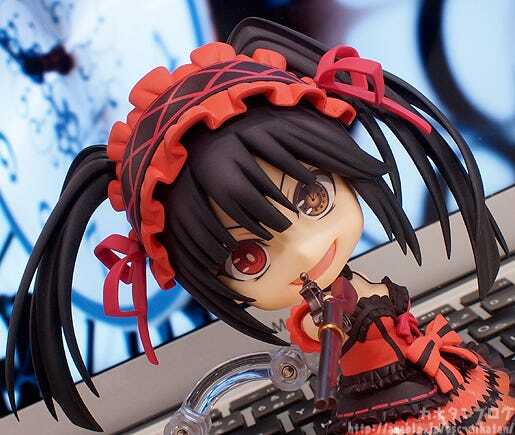 If you buy a couple of her you can even recreate a certain special scene from the show! 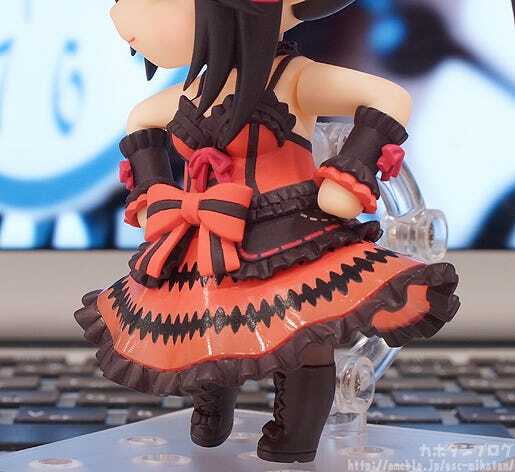 All the intricate patterns on her red and black dress!! 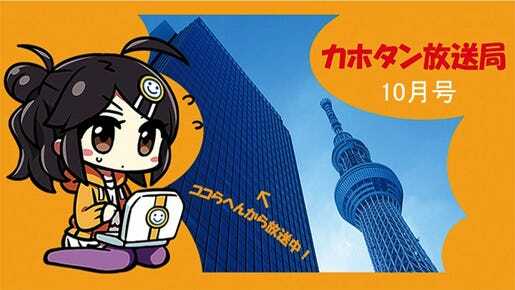 We’re joined by Kurumi’s planner, Shuuchan-senpai! Ooh! Is that what I think it is?! 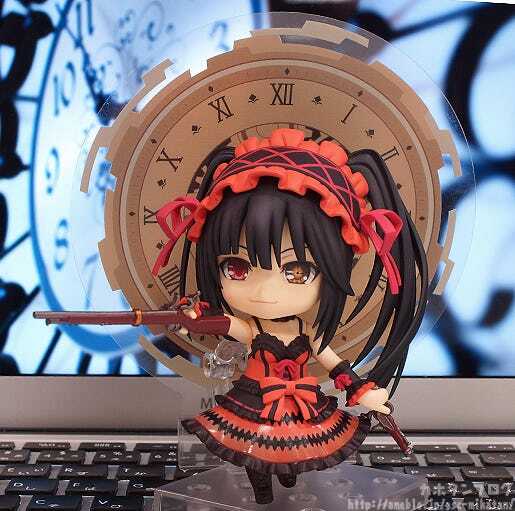 The clock face is a plastic sheet, but it comes with a special little connector to hold it up behind Kurumi! 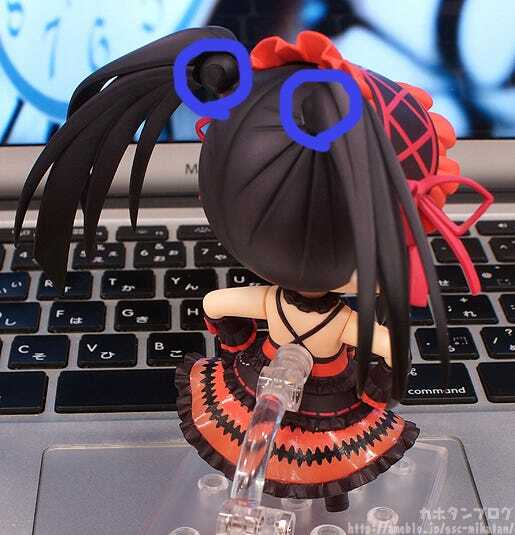 (・∀・) “Yep! 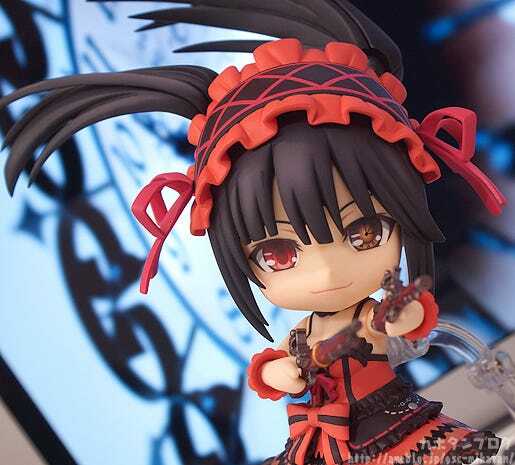 Her twintails are both fitted with Nendoroid joints allowing you to move them in absolutely any direction for some epic poses! 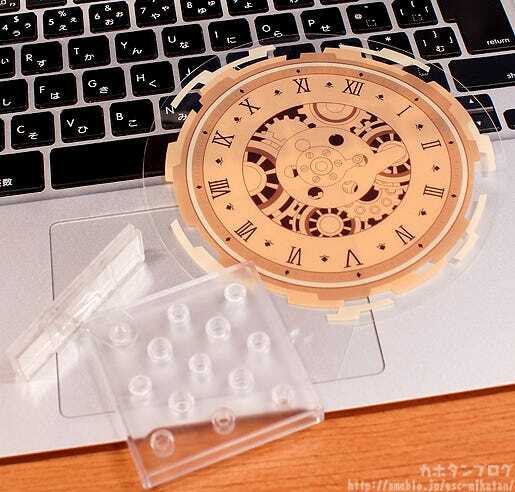 Like this one!! You can use the bent arm to make some playful poses too – even something a bit like a cat paw pose! This expression is actually really easy to use in all sorts of ways! 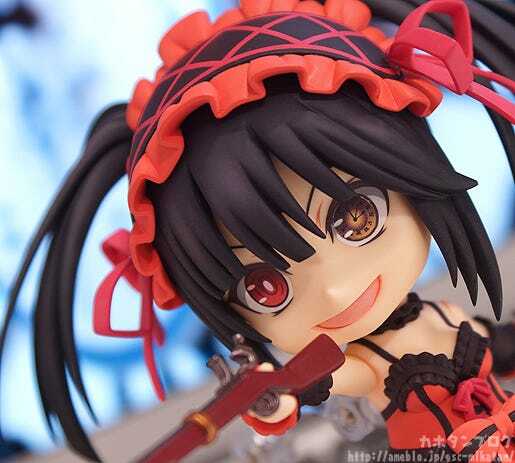 She looks completely uncontrollable with this face! It very much reminds me of episode 8 from the series! 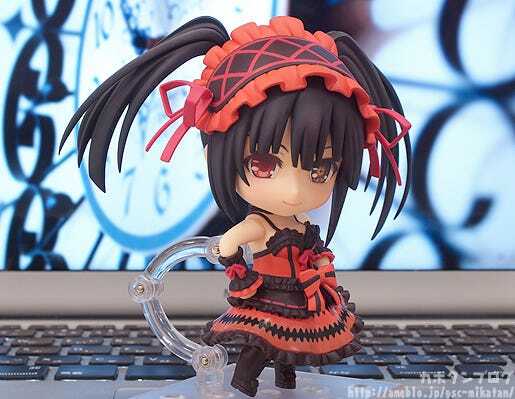 Kurumi-chan’s beauty and personality all packed up in Nendoroid size! 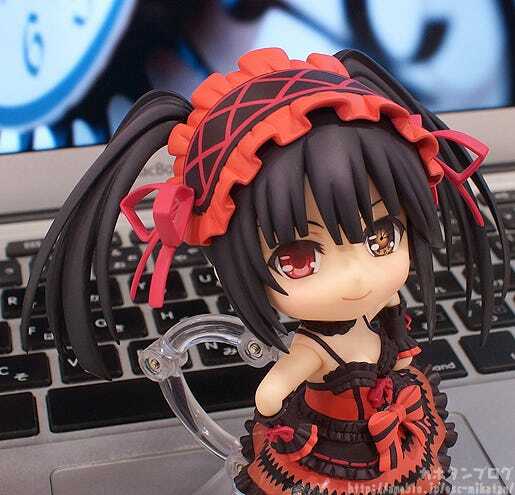 Go on a little date with a cute little yandere spirit!